In 2018, I spoke at several fantastic meetups, traveled a bit overseas, and enjoyed some fun family vacations. 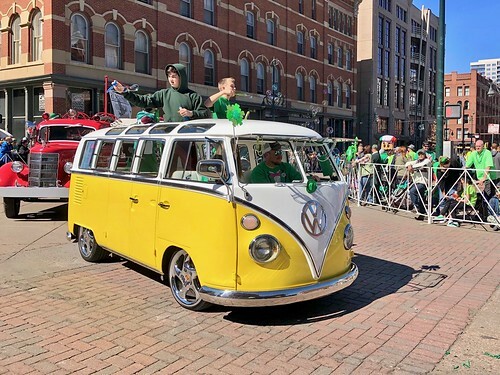 We had the time of our lives driving Hefe in the Denver St. Paddy's Day Parade! We traveled to Crete for JCrete and had a blast with the Java community. We journeyed to Ireland with my folks, and I thoroughly enjoyed a speaking tour of Ireland JUGs and the Dublin JHipster Meetup. Our classic VWs had a great year with only minor repairs needed. I'm going to look back on 2018 using the following categories. For those stumbling upon this post with no context, I'm a veteran open source developer that works at Okta as a developer advocate. This year I focused on blogging more than speaking. I still spoke a fair bit, but I tried to focus on meetups more than conferences. The DevEx Team at Okta released a slew of SDKs at the end of 2017, so I had plenty to write about. Over the year, I found more and more developers had heard of Okta during my talks. I even found users in most audiences! This was quite a change from 2017, so it seems my team's advocacy efforts might be working. 2013 was an amazing year: Trish and I got married, celebrated on a 'round-the-world honeymoon and invested in a new 4x4 VW Bus. I finally achieved my goal of vacationing 25% and I got to spend more than two months in the presence of my wonderful parents. For the last few years, I've generally had one client per year. That changed this year when my contract with Oracle ended in May. Fortunately, I had the opportunity to develop a cool dashboard application before I finished. I wrote about it in a four-part series. Wouldn't you know it, I missed my 10-year blogiversary. 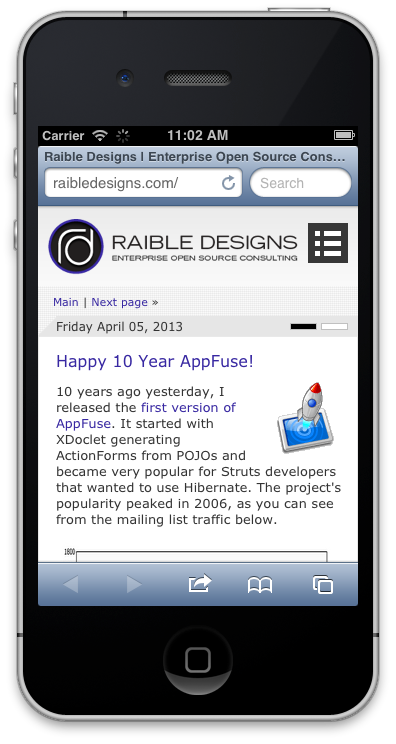 10 years ago yesterday, I wrote my first blog post. This was shortly after reading Dave Johnson's article about Roller. I originally started this blog to share a bunch of tips and tricks I'd learn while doing web development, particularly with Java and Struts. Since then, I've written 3,086 entries and received 13,462 comments. I found that writing technical blog posts was a great way to remember things and share knowledge. According to Google Analytics (which doesn't track my RSS/Atom feeds), here's my most-visited blog posts since 2006. I also started it to document my life, so I could remember the details of significant life events and fun family vacations. I wrote about Abbie's and Jack's arrival. I penned a story about growing up at the cabin, twice. 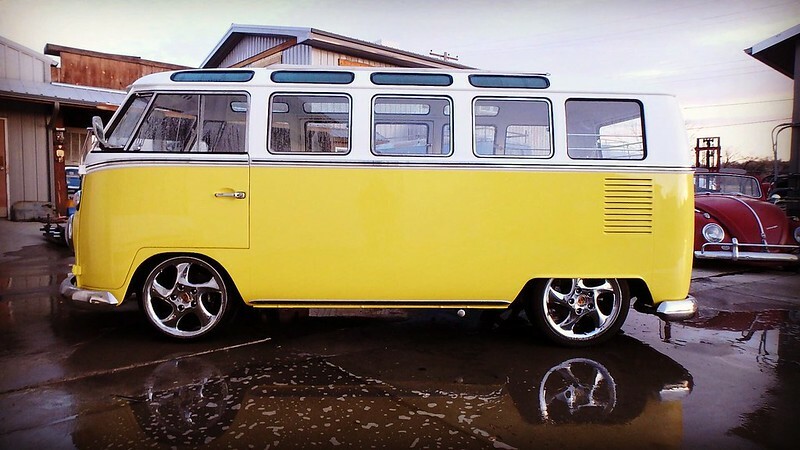 In April 2004, I wrote about buying a 1966 21-window VW Bus. Yes, I'm still restoring it. No, I don't know when it'll be done. This year I hope. I blogged about Abbie and Jack's first day of school, I wrote about almost all of Abbie's birthdays; Jack's 5th, 4th, 3rd and 1st. Some of my favorite comments are on Jack's got a bead stuck in his nose! I blogged about getting a divorce 5 years ago. I wrote about visiting the real Oktoberfest the next year. I wrote about my Dad's retirement, my sister's wedding and my Mom's retirement. I met Trish in June of 2010 and mentioned her name for the first time in September 2010. I introduced her to the kids in November and we started traveling the world together. We journeyed to Antwerp/Amsterdam, Fort Lauderdale/Key West, Crested Butte, Alta, Las Vegas, a hut trip in the Rockies and Kraków. And that was just in the first 6 months! We got engaged last November. I summarized the years several times, in 2005, 2006, 2008, 2009, 2010 and 2011. Keith at KGB Internet. Hosted here since day 1, for $20 month*. Dave Johnson, for creating Roller and continuing to maintain it all these years. Java and Tomcat, for your rock-solid stability through the years. The Open Source Movement, for providing so much to write about. My Family, for giving me with so many adventures and memories. * Thank goodness he doesn't charge me for bandwidth. It's a little heavy on the bits. Update: As part of this 10-year celebration, I've updated the look-and-feel with help from Gillen's Army.